Quick question about 1:1 bulba size? My favorite Pokemon to collect varies a lot, but my main ones are Vaporeon, Flareon, and Mew. 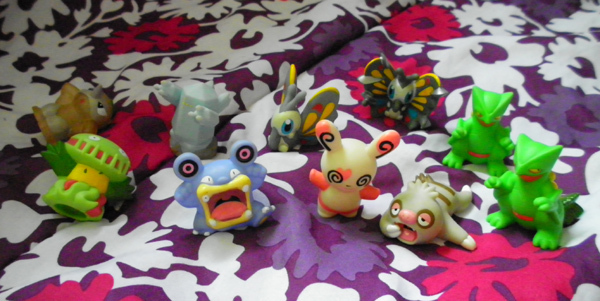 Really any of the eeveelutons, but I have my favorites. :3 I've adored Mew ever since I saw her in the first movie, and ever since I've always had at least one plushie of her, which you'll see in my collection! Once again, I'm really happy to be a part of the awesome community, and I look forward to getting to know everyone better! metal figures live opening show two? EDIT: OVER!! Thanks all for watching!!! METAL COLLECTION LIVE OPENING SHOW PART 2!!! ON AIR NOW! Come see 100+ metal figures from Generation I to Generation V! Spanning the ages of rarity, complete with set lists, color lists, and more! This box will be opened on camera for the first time! Keep in mind these figures will be for sale (some of them) but NOT BY ME. This is not a salespost or whatnot, just an opening show on behalf of the owner of the figures. Come and watch! If you're bored! If you're not bored! 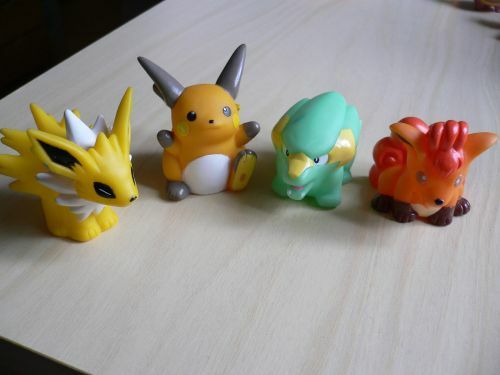 If you like metal figures and Pokemon toy history! 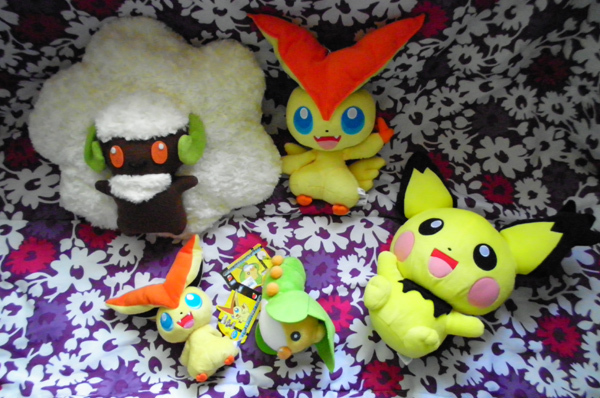 I will also show off FUZZY PLUSHIES and MELOETTA PLUSHIES! 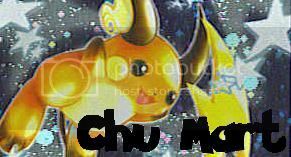 JOIN THE USTREAM CHATROOM to boss me around, make requests, and chat with other watchers! Hey Folks! My Posters, Spinda, and Porygon item auctions/offers are ending tomorrow at 11:59 PM! A lot of the items are still on their starting bid so you might be able to snag a deal! Click Here the Pictures bellow to be transported! i've already lost track of how many raffles they've done. BUT! the speedgamers just broke 30k in donations today around noon EST, and so that means there's a new raffle coming up. this one is for 35k! if for some reason you still don't know, the speedgamers are playing through all the pokemon games catching all the pokemon legit style to raise money for ACT Today which is an autism care charity. so this is all for a really good cause. yeah yeah, what are the prizes? -a custom made victini animation cell! -a mint in box copy of Pokemon White! 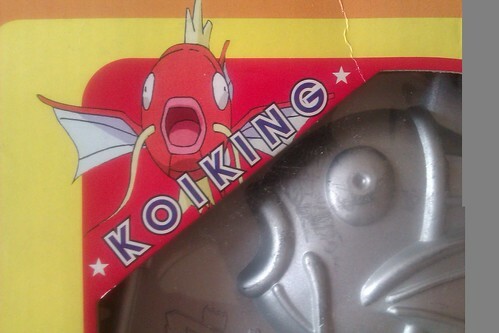 - a pokemon named whatever you want! 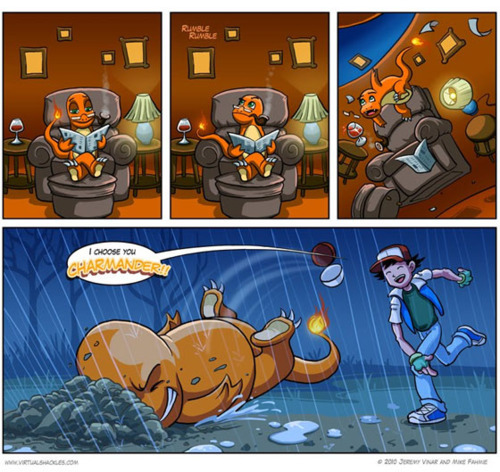 just let them know what pokemon/the name in your comment. the marathon has been super fun to watch so far, lots of silly pranks and serenading. yesterday they streamed live video of TSGers going to gamestop to reserve pokemon conquest in pikachu suits at opening hour. so swing on by! donate to charity! maybe you'll win in the raffle! For everyone that has paid so far, your toys are shipped or packed and ready to be shipped! Anyway, I'm looking for some help. I'd like to know if there are any custom hat makers out there. I'd LOVE a Zoroark hat and my favorite cosplay website does not make Pokémon hats! :c I would appreciate it if anyone could point me in the direction of some cosplay hat makers! 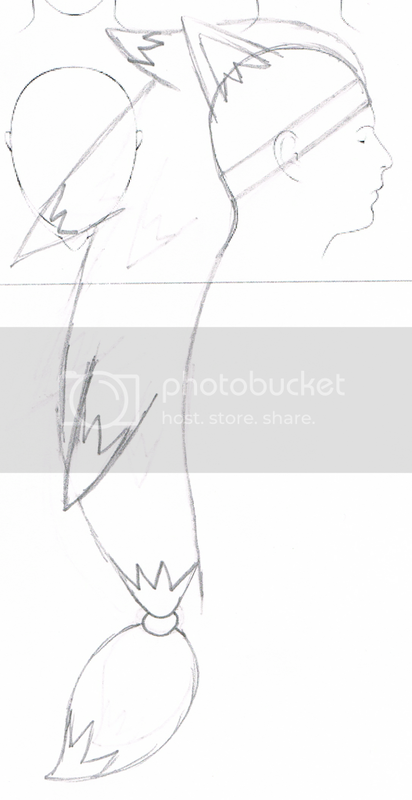 Some concept art I drew too fast - here and here! Hello mates, I'm maximumask (maybe you remember my introduction?). Today I wanted to ask you some help for my collection. 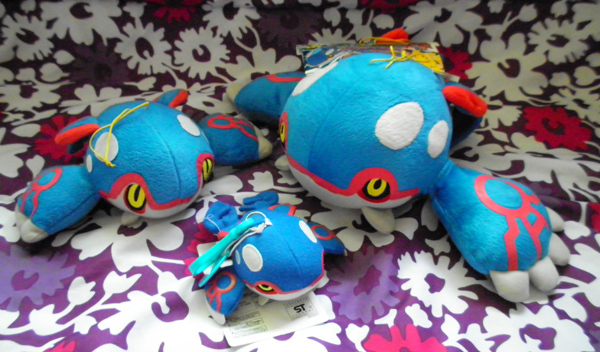 As I said in my first post, I'm searching for the few merch related to Brawly/Touki and Crasher Waker/Maximum Mask, and so I'd love some help please, if you're ok.
Just a reminder that I will stop taking offers on my Salamence Pokedoll on Thursday at 6:00PM EST. 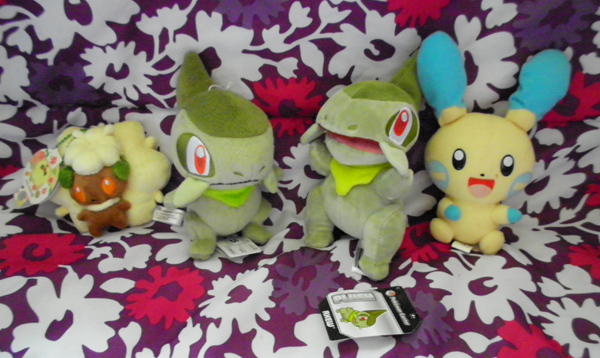 To make this post a little less boring, here are some plush evolution lines that I have recently completed! 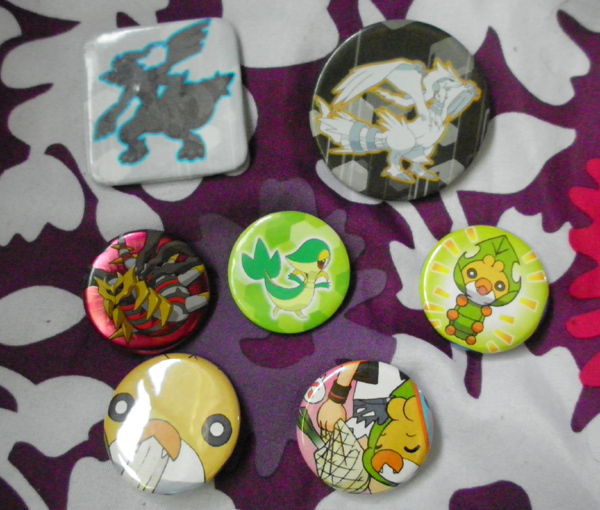 Only a couple hours left to bid on custom charm/figure/card slots. So if you are interested get your bids in! New Gets and Some Reorganizing! I recently went to a convention and reorganized some of my collection shelves, so I figured I'd show you guys my new things! Hello everyone! I hope you are all doing well! I come to your today with two items up for acution. 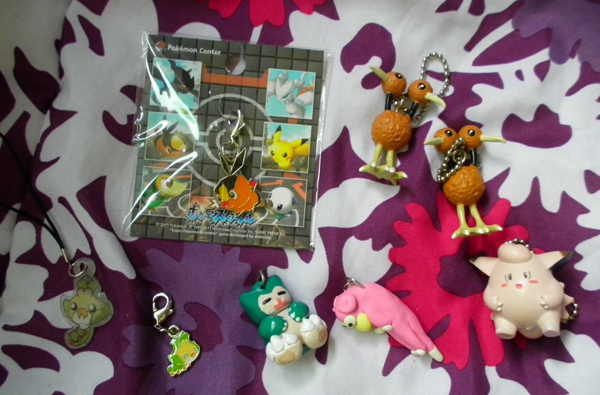 A mint in package Pokemon Plus Nobunaga's Ambition Articuno Statue and a Mint 2012 Espeon Charm. -Rules- PLEASE READ CAREFULLY BEFORE BIDDING! 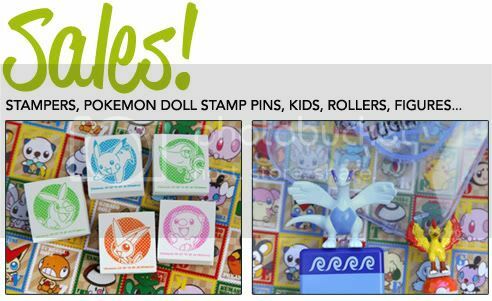 - All community rules apply - Auctions will end Friday June 29, 2012 at midnight U.S. Eastern Time. (Once the clock changes over to Saturday) - NO SNIPING! In the event of someone trying to snipe, the winning bid will go to the person who bid before the sniper. - There will be a "Buy It Now" Option available for both items. These may be used at any time before the auctions close. - Payments will be due within 24 hours of the auctions close unless something is worked out between myself and the winners prior to the end of the auctions. If payment is not received within this time frame, negative feedback can be left. - After auctions close, a message will be sent to each winner requesting their zip codes. 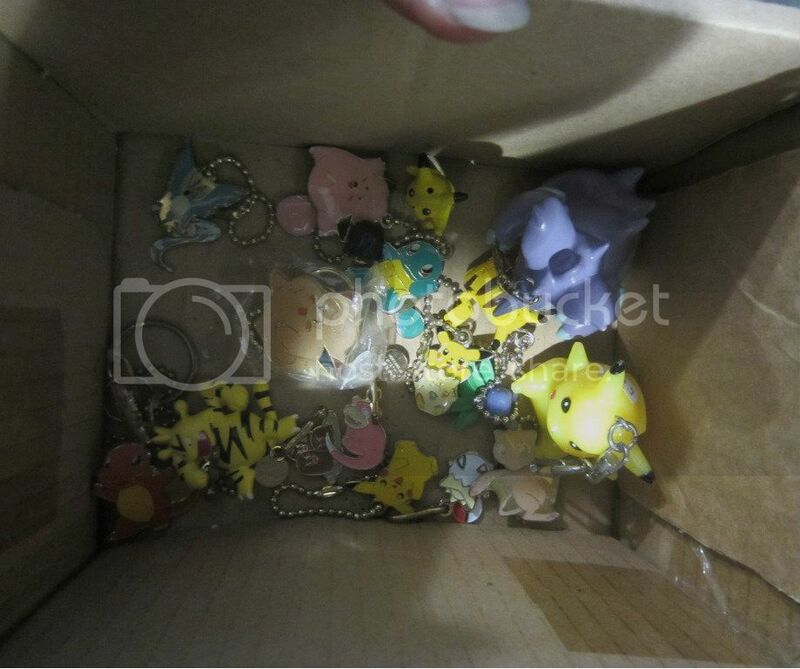 Please do not post any shipping information within this post. 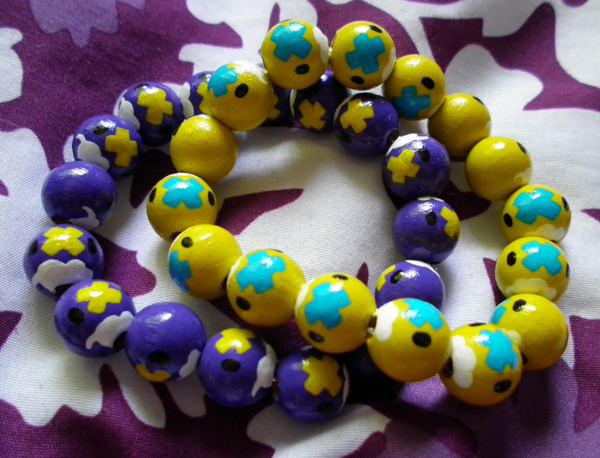 =) - Items will be shipped via USPS First-class Mail. - I do ship internationally, however, this method can be pricey. Please be sure you are able to pay the shipping before bidding. - Once the items are dropped off at the post office, I will not be held responsible for any damages that may occur while the packages are in the care of the USPS. ITEMS UP FOR BID! MINT IN PACKAGE POKEMON PLUS NOBUNAGA'S AMBITION ARTICUNO STATUE MINT 2012 ESPEON CHARM HAPPY BIDDING! And another Nasija GA 3! PLEASE STOP BIDDING, THE GA IS OVER!!!!! There is tons of 10th anniversary, Burger King toys and other things up for grabs! PLEASE NOTICE!!! Since there are so many flats, it will be you who will make the bids!! I will make an individual thread for each picture from 8 to 15 in the last pages after I have done threads for individual items from Pictures 1 to 7!!! ALL THREADS ARE UP, SO BID TO YOUR'S HEART'S CONTENT!!! PLEASE STOP BIDDING THE GA IS OVER!!! Ok guys its time for the shipping payment ( thats from SMJ to James for the "Apricorns Galore "GA.
All non -US percipients ( In think thats just little old me -sad face- ) shipping is $4.80. All payments should be made to rosalesjames91@gmail.com please put your LJ name and "Apricorns galore GA payment 2) in the memo. Once paid please leave a comment please telling me you have paid! Also please pay within 48hrs or negatives will be left. EDIT: yes I made a screw up!! James informed me it was the second payment - sorry Guys there is only one last payment needed- plus extras!! Thanks everyone for making this GA a success!! - Feel free to haggle! Thanks for looking! I also need some identification help. 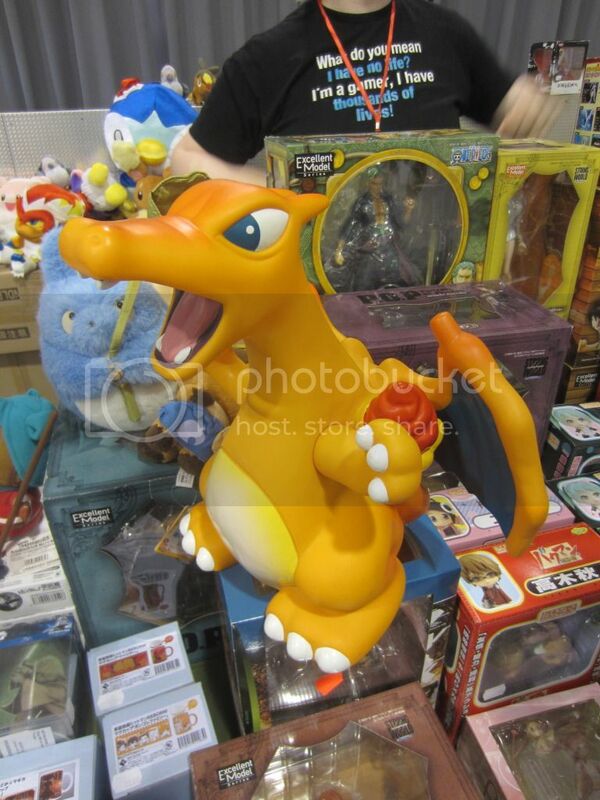 I went to a con a week ago and one of the best Pokemon merch sellers had THIS. This weeks I was gone to the French National Championship. I played a Zeels like I want, and I did 5-2. I didn't be on the TOP because two of my opponents droped... :( But I'm happy of my result ! I give to my last batlle the victory for my opponent, and like that, he was gone on TOP ! 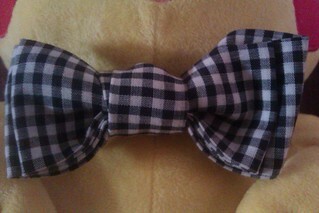 I create new design this week ! And I update my collection ! Mini auctions end in under 24 hours :3. First, I wanted to share something awesome I finally was able to get on Y!J. 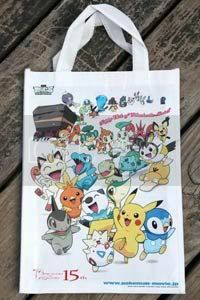 A few of you had asked about this bag in a post a month or so ago. Click the cut for more pics! Hey guys! Tommorow I'm heading up to DC to fly on over to Europe! I hope they have something pokemon there lol. 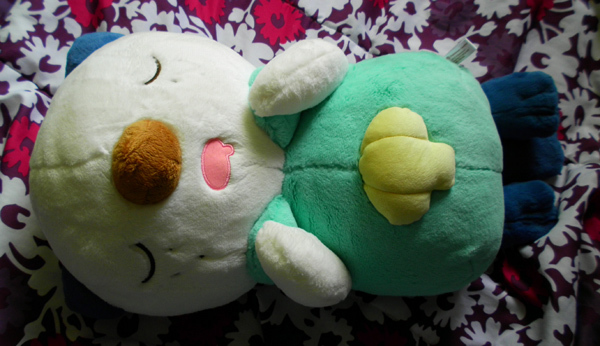 Anyway I put up a Natu Pokedoll Review on my Youtube channel. Check out the cut! So today I got a huge box from Japan, and it contained a long sought-after grail! Last Friday was my birthday, so it was just perfect that I received a package from Sunyshore on that day! Finally, for the participants of the roly-poly GA, I went ahead and paid for the international shipping because I didn't want to take payments on my birthday. 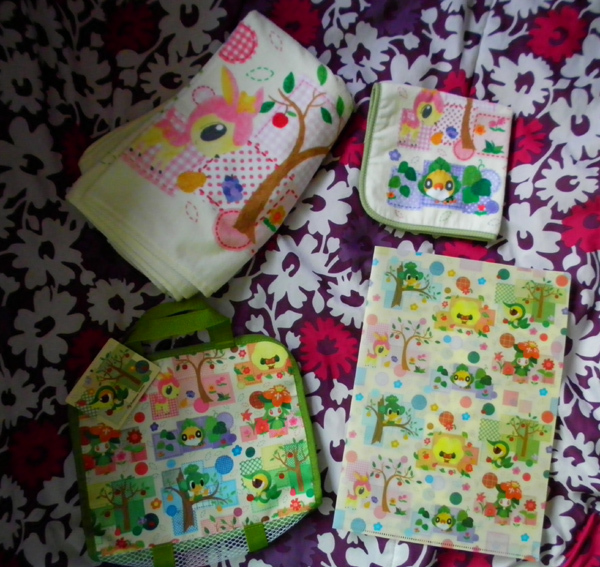 The items arrived crazy-fast, and I will make a payment post soon. 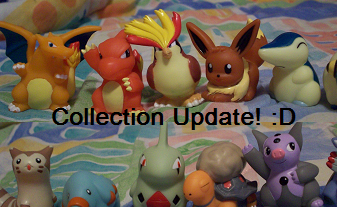 If you participated in my Waza Museum Figure GB, the items were marked as shipped yesterday, so expect a payment post for them too! Thank you for reading this super-long post! Hello~. I've got a question again... But it's actually kind of one of substance. Aren't you proud? I've come across a Pikachu lot which includes 2 signed cards. It's pretty inexpensive, so I was thinking about bidding on it, but I'm not sure who signed it! Does anyone have an idea who this signature belongs to? 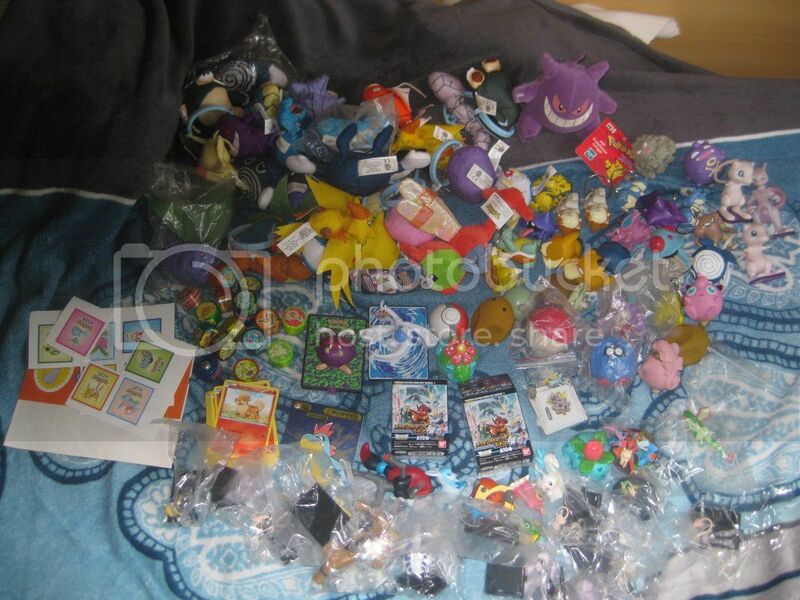 So I want to show my plushes to you and I need some indentification help as well... Here they are! 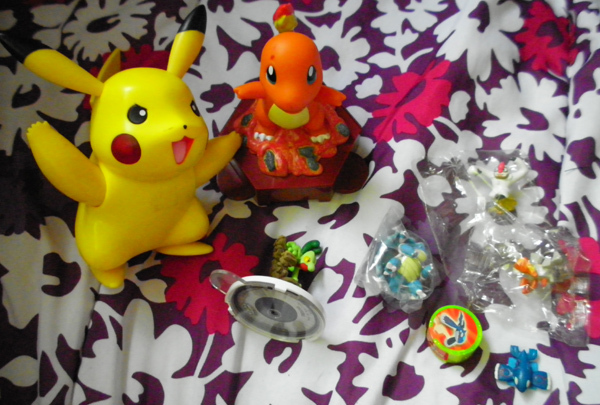 And then there are the plushes I have bought from a flea market: Bulbasaur, bigger Jigglypuff, Torchic and Pikachu. 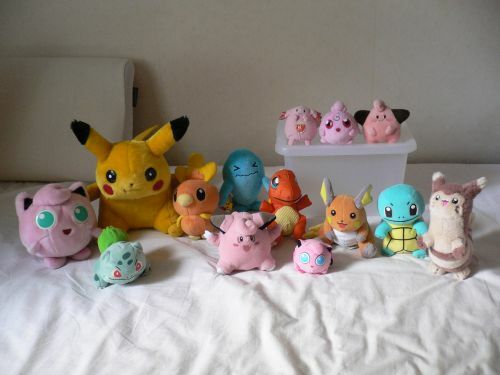 Actually my mom bought that Jigglypuff for me but that's irrelevant x) I know Bulbasaur is a treat keeper and Jigglypuff is official too but what's with the others..?